Our cover this month features Asterix. To mark the 25th anniversary of Asterix in Britain, Hodder &Stoughton are giving the books a brand new look and releasing two omnibus editions. We are most grateful to Hodder & Stoughton for their help in using this illustration by Albert Uderzo. Another Peppé success. 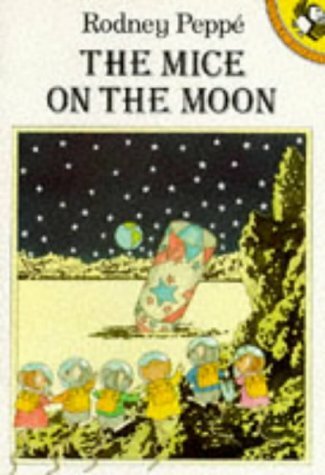 This time, on discovering an unused firework, the mice family decide to go to the moon with the intention of finding out whether it's made of cheese-a wonderfully powerful incentive to the younger mice ... and to the dastardly D Rat! Following the winning formula of previous Mice books, it's well constructed and carefully thought through. The only disappointment to confirmed Peppé fans is the lack of the original photograph of the spaceship that we expect to find at the back-where is it, Mr Peppé and Puffin?